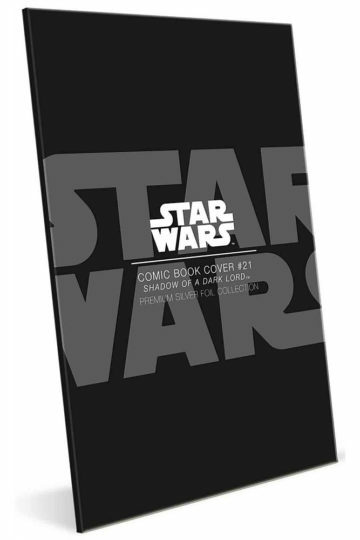 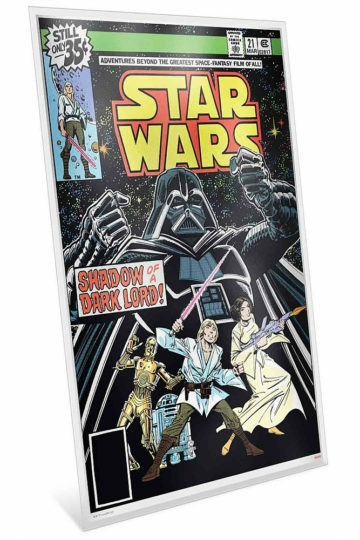 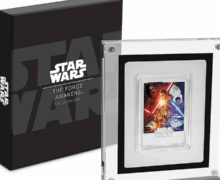 The second release in New Zealand Mint’s Star Wars Comic silver foil collection features a reproduction of the cover of issue 21 from the classic Marvel Star Wars comic series. 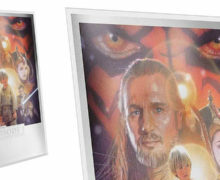 It measures 175 x 262mm, is made from 35g of silver, and includes an acrylic holder. 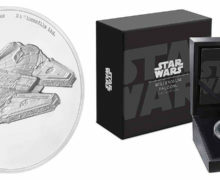 This striking 35g premium silver foil incorporates both colour and engraving, and features Luke Skywalker, Princess Leia, C3PO, R2-D2 and the Sith Lord himself, Darth Vader.